Amid concerns about the 2026 Winter Games bidding process, a legal case hanging over a powerful International Olympic Committee member and lingering questions over boxing's future at the Games, Olympic delegates will have a lot on their plate this week in Tokyo. Sheikh Ahmad Al-Fahad Al-Sabah, president of the Association of National Olympic Committees (ANOC), said last week he had temporarily stepped down from his roles in the Olympic body amid an ongoing legal case in Switzerland. The Kuwaiti, who also heads the Olympic Council of Asia, did not give any details of the case but has denied any wrongdoing. Kuwaiti media reports said it was linked to a domestic issue. 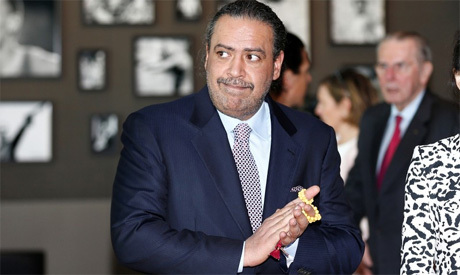 Sheikh Ahmad appeared set to be re-elected as ANOC president during the General Assembly but some media reports have said the election could be postponed. On Friday, Tokyo, which will stage the 2020 Summer Games, also hosts an IOC Executive Board meeting where Olympic chief Thomas Bach could face tough questions relating to the situation involving his close ally Sheikh Ahmad. Delegates from 206 national Olympic committees and IOC officials are arriving for the meetings, which will also discuss the bidding process for the 2026 Winter Olympics. With only two candidates remaining, the teams behind the Milan and Stockholm bids are due to make presentations at the ANOC General Assembly. The IOC must also address the recent election of Uzbek businessman Gafur Rahimov as the president of international boxing association AIBA. The IOC is currently weighing up the future of boxing as an Olympic sport due to ongoing issues with AIBA’s finances and governance.